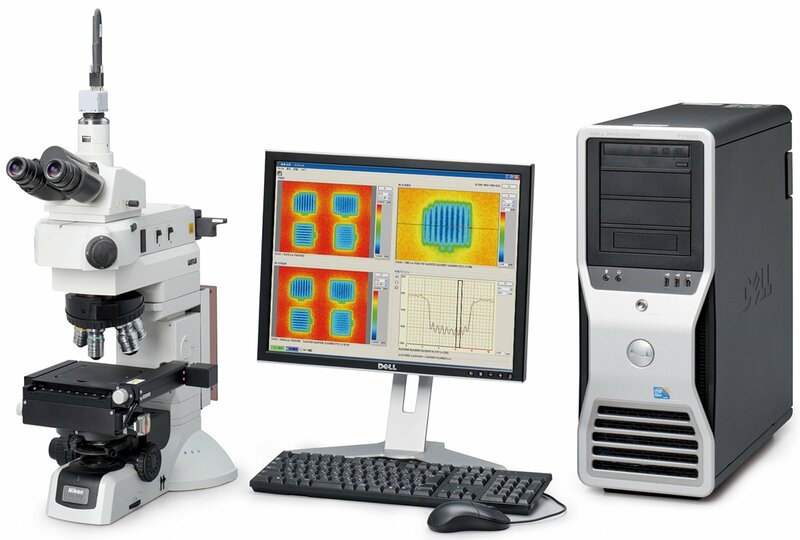 By employing highly developed, contact-free and nondestructive processes, the surface contours and roughness can be analyzed real time at picometer resolution, and this for a host of different materials. To this purpose, high-resolution camera systems are combined with white light interferometry. The fast and precise positioning of the lenses is an important requirement for the far from trivial analysis and for the "assembly" of the individual measurement results to meaningful images. The position of the lens must be matched accurately to the individual image, only then will high-precision 3-D surface inspection be possible in the first place. Piezo-based positioning systems are an excellent choice here: They can be integrated directly into the microscope and move the entire revolving nosepiece, so that the various lenses can be moved subsequently with high precision in direction of the Z axis. They work without wear or friction as well as without backlash. 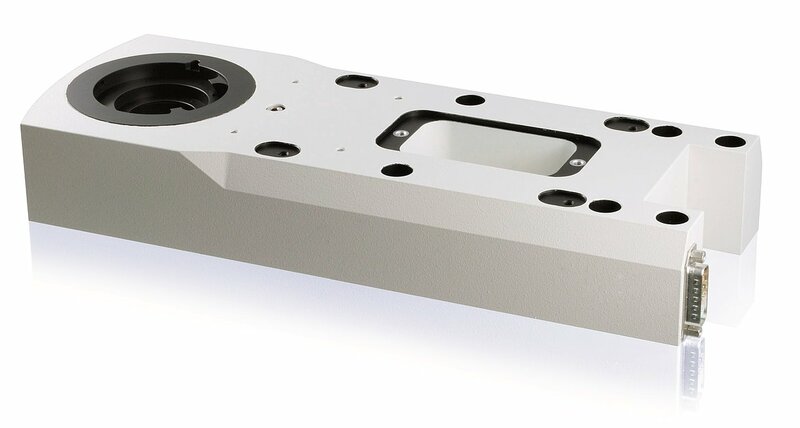 In addition, they can accelerate with up to 10 g and are therefore suited for the high frequencies necessary for real-time 3-D surface measurement. High-precision, backlash-free flexure guides ensure high stability, which enables nanometer-precision kinematic motion. The flexure guides used for transfer of force and motion are free of wear. Capacitive sensors are employed for the precise measurement of the position during motion. They measure the part of the mechanical system that is in motion directly and without physical contact (direct metrology). Neither friction nor hysteresis interfere with the measurement. Combined with the position resolution in the subnanometer range, this allows achieving very good values for linearity.